I’ve had a couple amigurumi on my to-make list for years, but until this week I’ve never gotten around to making a softie. Now, I’ve made several. Last Friday (on Twitter, where else? ), I told Alea (@mint910) that she should challenge me to make one so I’d actually get around to it. And she did. She gave me a deadline of November 10, but I’ve already completed it. The first one I made is knitted. Then I made a crocheted one. 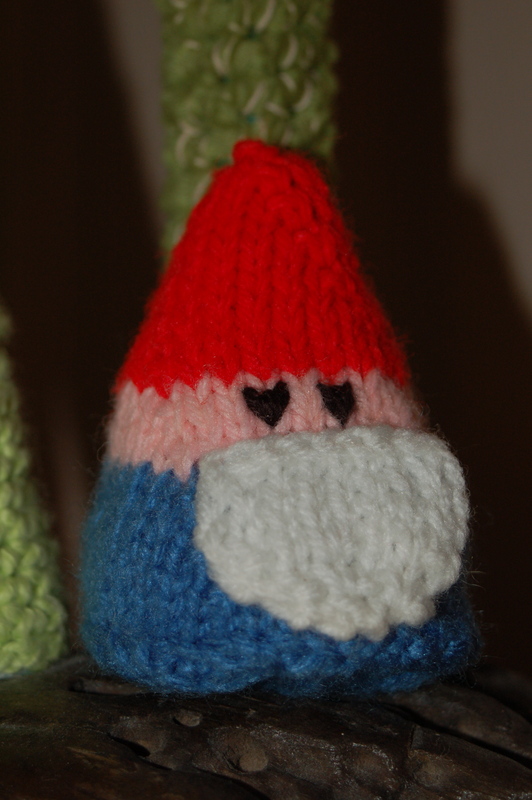 Then I made the one my husband thought I should make (also crocheted). I’m not happy with my embroidery on either the kitty or the Ewok. Mostly on Miuku (the cat), the face should all be a bit higher, but especially the eyes. She’s pretty tipsy even though I put a few pennies in her base. The Ewok, especially, was a TON of work. And I’m especially displeased with his mouth. But what’s done is done. I knew I wasn’t particularly skilled at embroidery; maybe I should have thought about that before I embarked on this challenge! The Ewok (also weighted) stands much better on his own than the cat. I kind of want to make a bunny nugget next. Bunny Nuggets, projects and photo via Knitting Zeal. 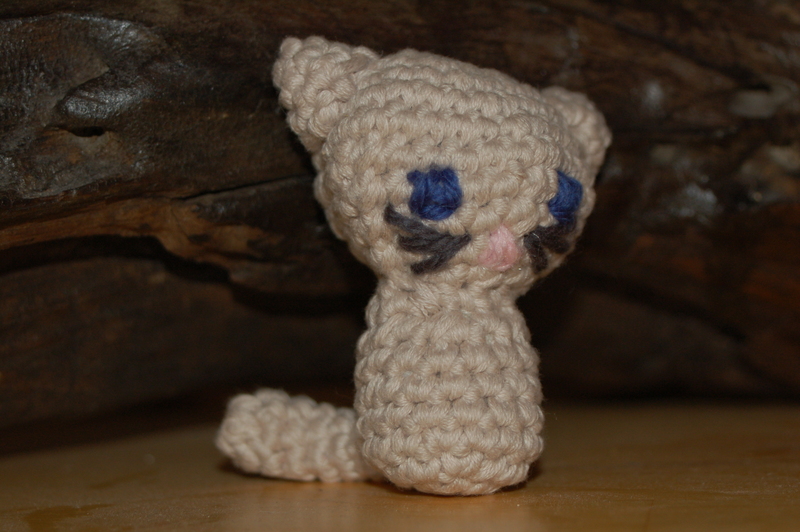 Have you tried your hand at amigurumi? Check out the Fiber Arts Friday roundup to see what other people are crafting this week. 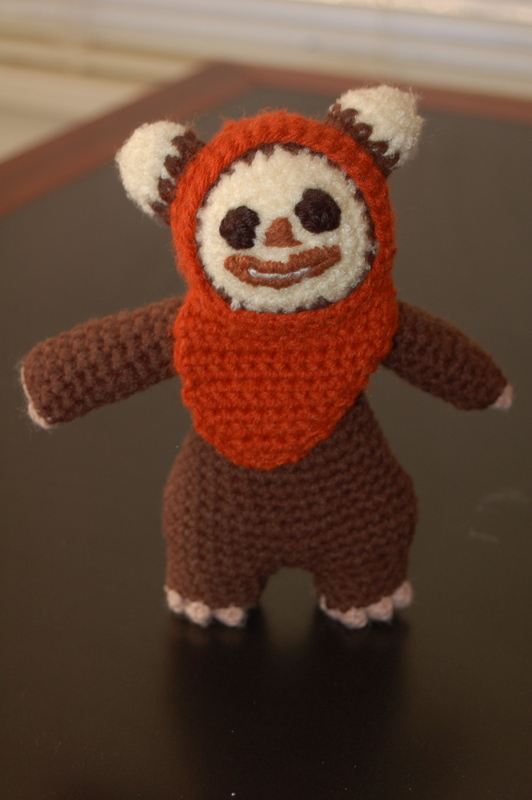 This entry was posted in knitting and tagged amigurumi, crochet, fiber arts. Bookmark the permalink. I think they’re all adorable!! The Ewok is my fav! Oh, if you were close, I’d love to teach you! I have not made any amigurumi yet… but I do have an elephant on my list. The kitty is adorable, I think she will go on my list too. Oh the Ewok is calling me home! Are these on Rav as patterns? Adorable! I love them!!! I also find embroidery to be a pain… Something about it is always the hardest part to me. They all look fantastic. Don’t be too hard on yourself. Gonna friend you on Rav! Oh, the gnome, the Ewok, the cat, the bunny nuggets! All too cute. Those hedgehogs are seriously fun. And I know, I need to get down there again soon! Although at this rate, it may be in the new year.